Natural and climatic condition of Zhambylskaya region are characterized with considerable energy potential for using renewable energy sources and constructing solar power plants, wind generators and small scale hydropower plants. As a result of joint agreements a memorandum of cooperation in the sphere of development and construction of solar power park was signed between the Akimat (local administration) of Zhambylskaya region, Kazatomptom and KEGOC companies. Singing this memorandum is an initial stage in a series of practical measures on providing a sustainable growth of economical development of Kazakhstan, by means of increasing the share of renewable and alternative energy sources. This project will become practical execution of the initiatives of the President of the Republic of Kazakhstan Nursultan Nazarbaev in the partnership program Green Bridge and Global Energy Environmental Strategy. The construction of a solar power park with the unit capacity of 20 Mw each in Zhambyslkaya region with the use of domestic solar modules will have positive impact on the development of the economy of the Republic of Kazakhstan. The Akymat of Zhambylskaya region will carry out the organizational and technical support of the project. 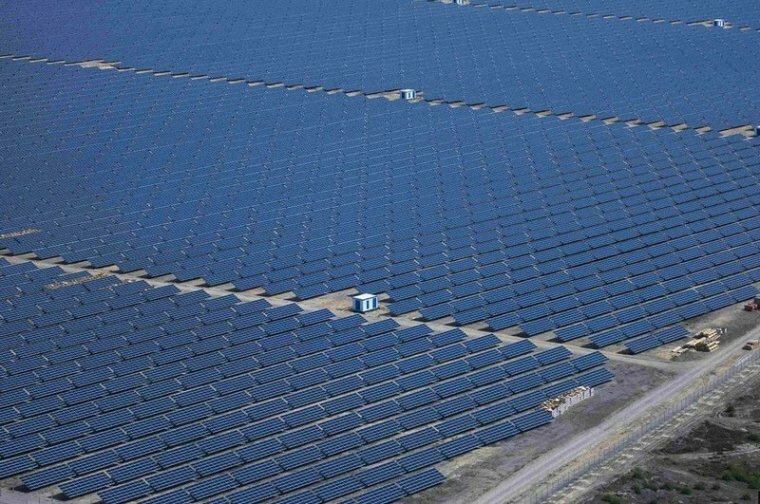 Kazatomprom will produce ad deliver the main components of solar power plants – photovoltaic modules, which comply with all the requirements of ISO certificates. AO KEGOC will facilitate obtaining technical specifications for connecting to electrical grids and organizational and technical help in the project execution.